If I had a reason to invest in this gorgeous gold and ivory dress I would. Isn’t it a dream? If you’re a bride-to-be, I think it would be such a lovely look for a shower, engagement party or even rehearsal dinner! While it’s both classic and flattering, the gold stripe detail and cape-effect top give it a va-va-voom unlike any other. So pretty!!! 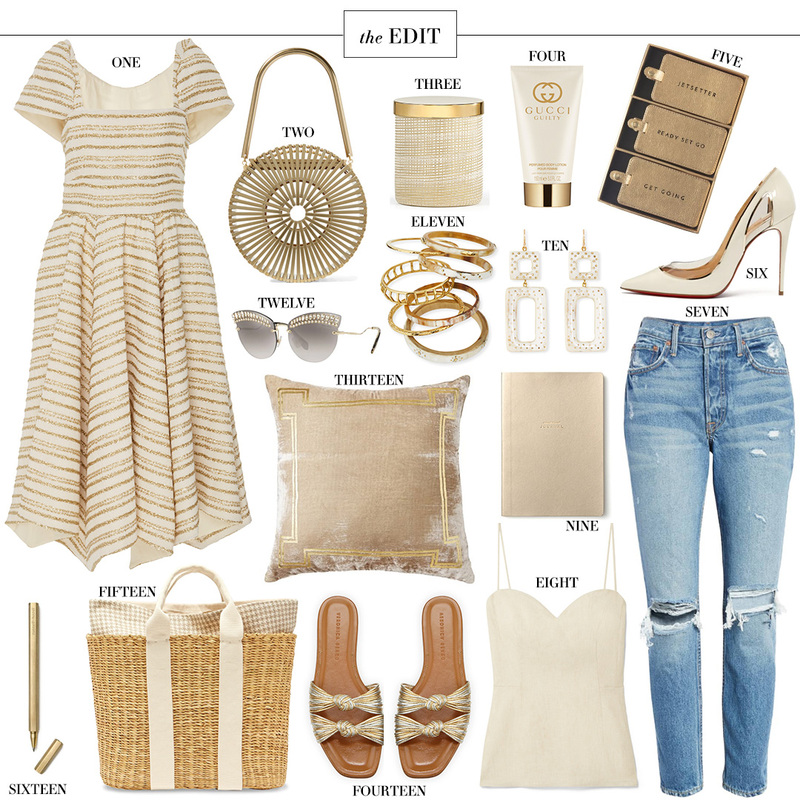 Clearly, it inspired the rest of this gold and neutral collage… and can you blame me?